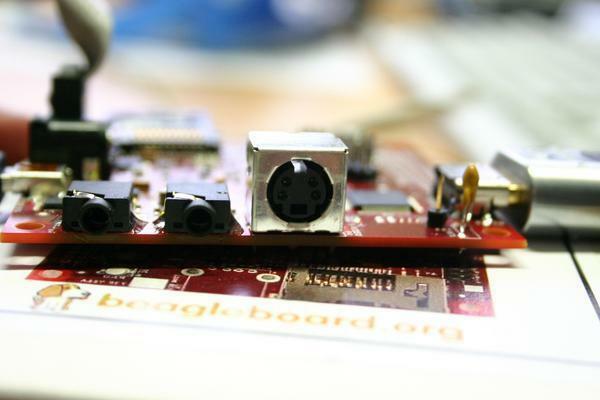 Finally the BeagleBoard has arrived. Unfortunately custom offices are charging me additional US$ 30. Ripping the package open I am shocked: It's so tiny! On first sight I can't find the OMAP processor. Almost by chance I find the explanation reading through some web site. Following the PoP construction principle (Package on a Package) the memory chip is mounted on the CPU. A yellow LED shows that the power supply via the USB port is working. 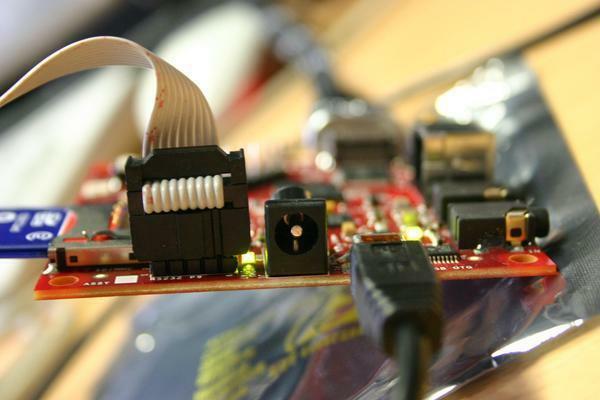 For connecting the BeagleBoard with a PC you need an AT/Everex serial cable, which plugs into the pin header of the board and has a RS-232 serial port on the other end. You might have a hard time getting one of these at your local dealer because stuff like this is considered "legacy" these days. So better order one together with your board. That's US$4.50 down the drain for that alleged Everx cable, but whatever, it's working now. Next step will be to install an actual Linux distribution on the small computer. Good tip on the details of the cable jeff. I'm one of those perfectionists who likes to assmble as much of my system as I can - which includes the cables! but there are many better ones, particularly on Meld (http://meld.mvista.com) and elinux.org (http://elinux.org).